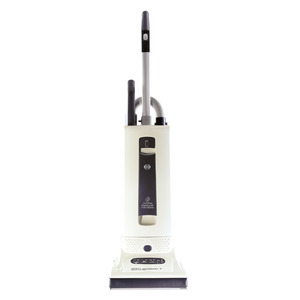 I recently purchased a X4 Sebo Vacuum after trying out the one my mother has. I have used alot of vacuums in my time. I am very impressed with the workmanship and quality of this vacuum and especially with the ease of using the attachments. I also purchased the extension hose and turbo attachment. I have eight dogs in the house, six parakeets that make a mess. I have hardwood and vinyl floors and have to sweep and use attachments EVERY DAY. I never thought an upright would do the job I needed it to. This vacuum is awesome!! I absolutely love it! Worth every penny!